Home » Food » Chocolate, Strawberry and…Bean Powder? And finally, the bonus round! 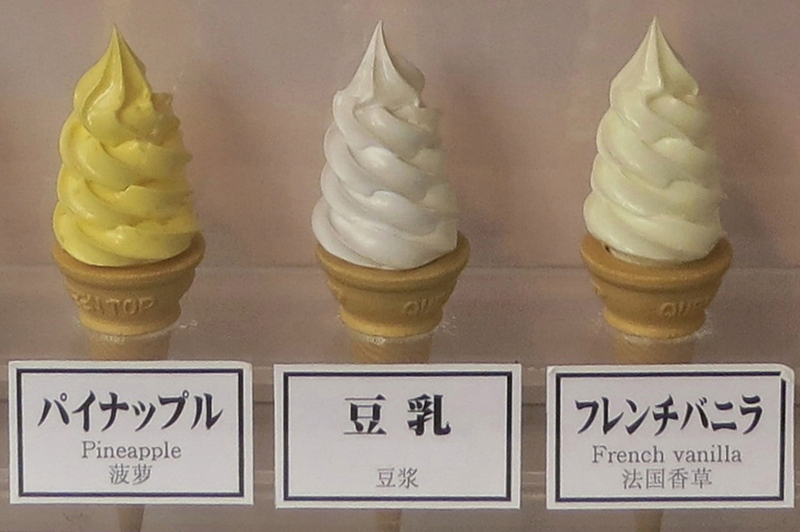 Extra you’re-turning-Japanese points for naming the specific seasonal and regional flavor atrributes! 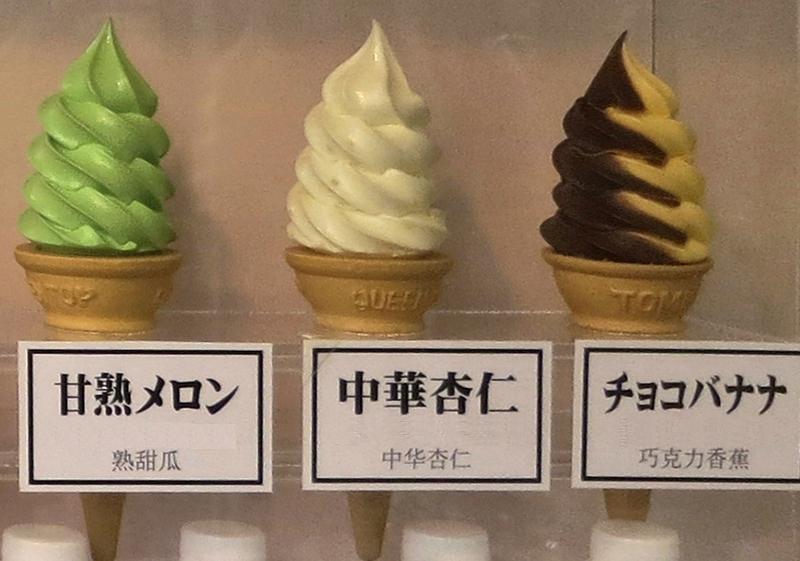 If you’d like to try some of these amazing flavors the next time you’re in Tokyo, I found them at a soft-serve place on Nakamise-dori, the shopping street in front of Senso-ji temple, in Asakusa. 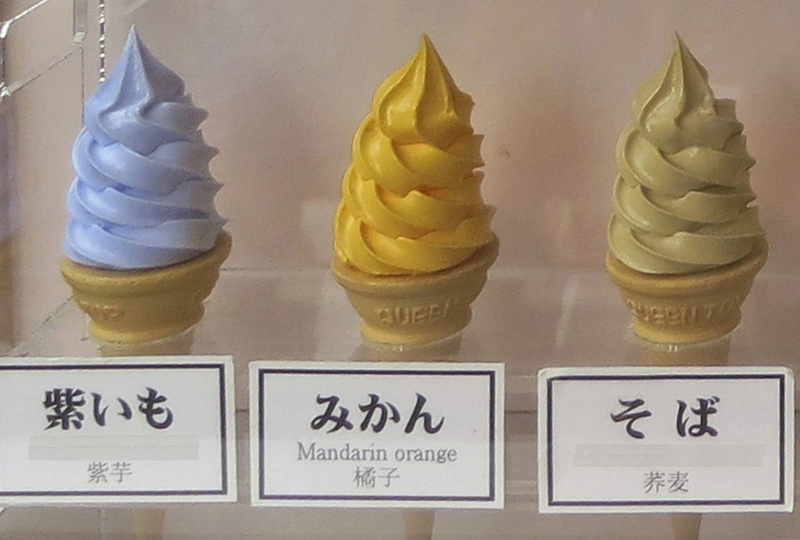 Directions & maps are on my website, The Tokyo Guide I Wish I’d Had. You can keep the bean one–I’ll stick with sakura. And yeah, I get mistaken for Japanese all the time.